Home Cinema Centre celebrates 5th birthday with special offers | What Hi-Fi? 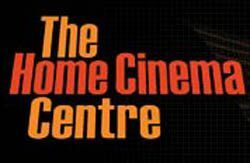 The Home Cinema Centre is celebrating its 5th birthday in the only way that seems right: offering savings on a range of home cinema products. The 'We are 5' promotion will run for a limited time and includes savings on Blu-ray players, AV receivers and more. Two Philips TVs are included, the 40PFL9904 is down to £955.55, while the 58PFL9955 is now £3555.55. The 50in Panasonic TX-P50U30B is also reduced, now down to £655.55. If you're in the market for a Blu-ray player then the Philips BDP7500S2 is now £105.55, while the Pioneer BDP-430 is £145.55. And you could match that Pioneer BD player with the Pioneer VSX-1020 receiver, yours for £355.55, or go mad and splash out on the Yamaha RX-V1067, for £555.55.